NetEnt has been teasing players with a sequel to their hit 2009 slot, Dead or Alive, over the past few months. The second installment, Dead or Alive 2, is due out on April 24, 2019. Unfortunately, we haven’t had much to go off of regarding what to expect from the sequel. This has changed now, though, with NetEnt releasing an updated preview. Let’s discuss more on what to expect from Dead or Alive 2 when it hits casinos in late April. This game looks to retain much of the original atmosphere that made the first slot such a hit. Dead or Alive 2 will be a Wild West game based on gunslingers. Characters include a smoking outlaw, Native American with a Bowie knife, woman with a knife, lady with two guns, and a young man with a shotgun. The game will take place in a dangerous western town, complete with saloon piano music. We don’t blame NetEnt for keeping the same formula, considering the popularity of the first slot. 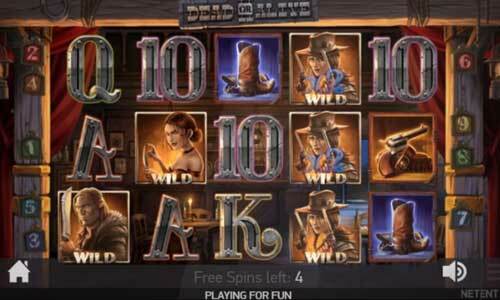 Dead or Alive 2 will offer three features, all of which revolve around free spins. Here’s more info on how each of these features works. Old Saloon – All wins are multiplied by 2x. Five extra free spins are activated when one or more sticky wilds appears on each of the reels. If 2 wilds appear on the same reel, they’ll be transformed into multiplier wild icons. High Noon Saloon – All wild symbols will change into multiplier wild icons. Train Heist – This feature offers a permanent multiplier. The multiplier increases by 1x and offers an extra free spin any time that a wild symbol hits the reels. Assuming the multiplier reaches 16x, five more free spins will be awarded. Little will change from the first Dead or Alive to the second version in terms of atmosphere and music – which is a good thing. However, NetEnt has upgraded the features for the sequel. Dead or Alive 2 will give players a chance to enjoy three different features during free spins. This aspect is definitely going to spice up the action and make the second installment even better. You can play Dead or Alive 2 online slot for fun here on its releaseday, play other NetEnt slots or the original Dead or Alive for fun until then.